I have had a niggling pain in my left gastrocnemius muscle (calf) for a few weeks, but it wasn't getting worse or affecting my riding. At least, until last week's 5+ hour ride up Col du Sac - including pushing and hiking through snow. It left me limping. 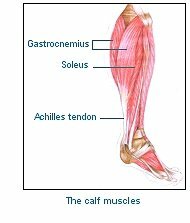 I have had a niggling pain in my left gastrocnemius muscle (calf) for a few weeks, but it wasn’t getting worse or affecting my riding. At least, until last week’s 5+ hour ride up Col du Sac – including pushing and hiking through snow. It left me limping. Previous ArticleCol du Sac is Open? I know the depression that comes from not being able to ride due to injury. I turned to cake, candy and soda to get me through the hard times. Be strong, don’t get tempted by the dark side! I am very sorry to hear of this, Will. I hope your recovery time is speedy and that you’ll be back on the bike soon. Please keep us apprised of progress. sure you can take advantage of this rest to come back stronger ! Rest up… best wishes for a speedy recovery! I had started worrying as you were not posting anything anymore. Our Mr. Will without cycling means something IS wrong. First of all sorry as I was your brother in crime on the Col du Sac ride and the previous long ride through the Vallee Verte. Secondly, hope is good, but knowing is better, so get it checked by a good doctor plse. And last and foremost, get better asap…being stuck at home is nothing for you. Shout and curse as much as you want, but get rolling again (after the necessary rest)! I wish you the best to recover all your means as soon as possible ! thanks for all the kind comments. I think I drove my wife crazy this weekend, sulking around the house, hopefully better soon. No sympathy sorry,i never ride in icy or snowy conditions for this reason.i have heard loads of incidents ,arms broken,face smashed in,leave the bike at home till the weather improves. Will, this is the perfect time to catch up: I expect to see ALL your bikes in perfect mechanical order, shiny and polished; possibly a new edition (why should women monopolise retail therapy? ); a new line of geeky gadgets; spring 2008 cloths collection (remember, brown is the new black); 1 to 2 inches more around the waist; a summary of every bicycle magazine ever written for the past 12 months, and; a detailed recovery training plan. Half the cycling world counts on you to get Old Will back in the saddle. If you fail, we will have to start a charity ride to raise money. Those AeroCarbon wheelchairs with Mavic R-Sys wheels and Shimano Dura-Ace drive train (make it triple in the front and 12-28 in the back as he will hit the mountains again anyway) aren’t cheap. Optional F1 wing in the front and spoiler in the back. We will wait patiently for his return. Believe me, no one wants Chilly to be fully fit more than me — he has been very patient to try to recuperate, but he is just so much happier when he is cycling! Did you hear about his latest? Just when he thought his calf was almost back to normal, he woke up in the middle of the night with a super painful hamstring…how can he injure himself in his sleep? Keeping my fingers crossed for a positive update when I see him tonight!